The week before this one was pretty crazy in RoboBrrd land. 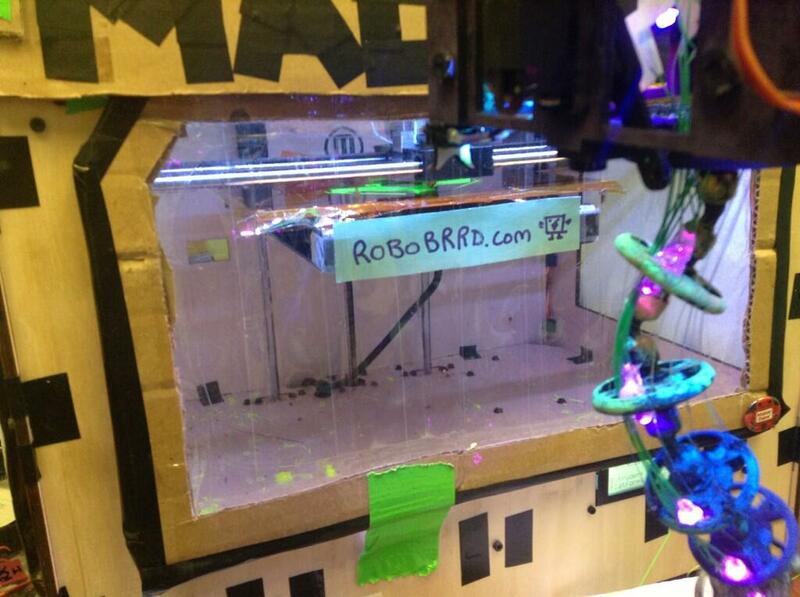 We sent out many more of the RoboBrrd kits, and working our way through the list! We only have two arms and RoboBrrd isn’t very useful at typing with its beak, so here are the updates from last week and the week before! It’s still snowing in RoboBrrd land! As you can tell, lots of these suggestions for improvements were from various forum members who have been posting about questions they have! The feedback is extremely useful to make RoboBrrd a more clear and straight-forward build. If you have any feedback, please let us know on the forum! Yikes! I was not receiving notifications of replies to a topic, so apologies for the delay in replies. It seems to be sorted out now. Additionally, if you have signed up to the forum and are still waiting for an email confirmation- let me know. The email part might be borked, but I can approve you manually. The list is getting shorter, and some people will be getting their RoboBrrds soon! Also, @eightlines (who made RoboBrrd listen to voice commands) now has the code as a gist, so it is easier to fork! That’s all for this week. Have a good time building robots everyone! Hope to see you and your robots at the Robot Party! Welcome to our weekly newsie blog post! It will be posted every Sunday, assuming that the RoboBrrds are working diligently. Here we will discuss what is up and happening in the land (and forest) of RoboBrrd. Press read more to view the rest of the newsie!